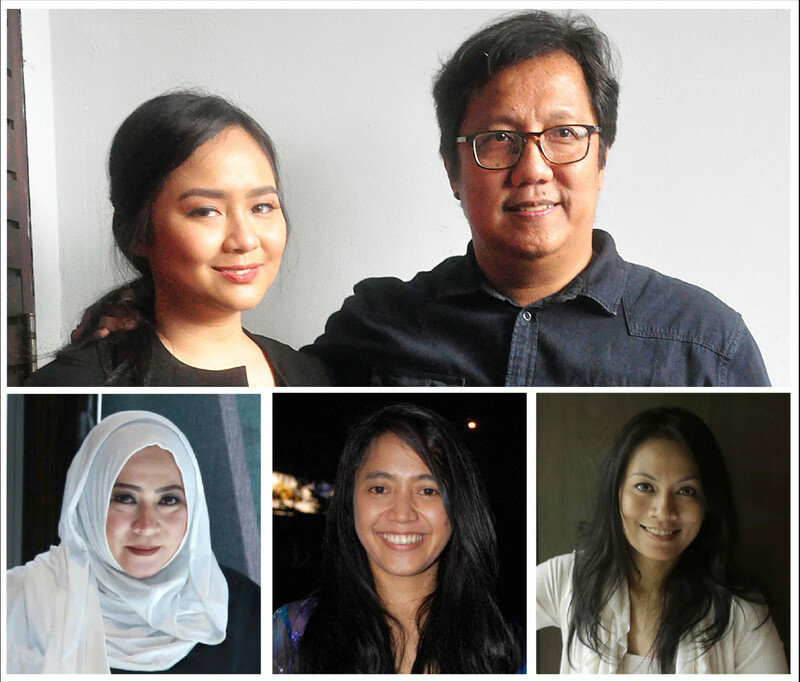 Prominent composer Erwin Gutawa collaborates with his daughter, singer Gita Gutawa, in a concert that honors the works of Indonesia’s top female singer-songwriters. Erwin will present his fresh interpretation of hits penned by Melly Goeslaw, Dewiq and Dewi “Dee” Lestari in the “Salute to 3 Female Songwriters” concert on Saturday. The two-and-a-half hour concert will take place at the Indonesia Convention Exhibition (ICE) BSD on the outskirts of Jakarta. “These three ladies [...] have their own strengths, perspectives and style, which give their songs a strong character. They deserve to be appreciated,” Erwin said at a press conference recently. It is the third edition of the “Salute” concert series. Erwin previously paid tribute to venerable pop-rock band Koes Plus in 2005 and artist-politician Guruh Soekarnoputra in 2014. Gita, a well-known singer in her own right, will instead work from behind the stage as the concert’s creative producer. For the 56-year-old Erwin, Gita has played a vital role in making the concert more appealing to younger audiences. Their different taste in music, however, had resulted in a quarrel when the father and daughter were planning the song list for the concert. “I would say to my dad, ‘no, this song is very popular’ and he would say, ‘no, I think that is more my song’ and it’s kind of funny,” Gita said. The three female songwriters are responsible for many of Indonesia’s greatest hits in the 1990s and 2000s. Melly Goeslaw, the former vocalist of Potret band, is famed for penning a vast number of romance movie soundtracks, including Ada Apa Dengan Cinta (What’s up with Cinta? ), Ayat-ayat Cinta (Love Verses) along with her own discography. Meanwhile, Dewiq wrote Malaysian singer Siti Nurhaliza’s “Bukan Cinta Biasa” (Not an Ordinary Love) as well as Agnes Monica’s “Cinta Di Ujung Jalan” (Love at the End of the Road). Dewi started her career as a member of all-female trio Rida Sita Dewi (RSD) in the 1990s. In the early 2000s, she ventured into the literary scene with her Supernova series, which gained wide critical and commercial acclaim. She has written a number of love songs, including “Malaikat Juga Tahu” (Even Angels Know) and Raisa’s “Kali Kedua” (The Second Time). “Many people ask whether I am an author, singer, or songwriter, but I’ve always viewed myself as a storyteller,” Dewi said in an interview last month. Dewi said she was flattered to be a part of the concert as she felt that there were many other female singer-songwriters in Indonesia’s music scene. “For me to be a part of this concert, along with Melly and Dewiq, it is a very heartwarming gesture,” she said. The concert will showcase approximately 30 songs – 10 from each songwriter – that will be sung by nine cross-generation male singers, including Harvey Malaihollo, Armand Maulana, Once Mekel, Sandhy Sondoro, Afgan, Rendy Pandugo and Vidi Aldiano, as well as pop trio LIB3RO and actor Reza Rahadian. The Erwin Gutawa Orchestra will accompany the vocals. Erwin said the concert’s all-male lineup was aimed at providing a twist to the songs, most of which were originally performed by female singers. “If you look at the names in the lineup, they’re all great singers in their own right. I tried to invite singers I consider to have excellent abilities as well as being influential in the music industry,” he said.